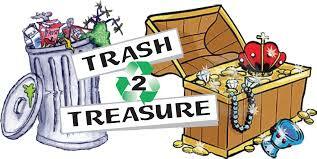 The Trash 2 Treasure sale is set for November 9th and 10th, 2018. This 2 day event has proven to be a huge success for Open Circle MCC mostly in part to you! Your donations and volunteerism (and also your shopping) have made this one of our top fundraisers and we hope that that will continue this time around! Dates for drop off: 8/4, 9/15, 10/13 and 11/3 from 10 am-noon. Sign up for furniture pick-ups.